At left, members of Willamette University's football team pose for a team photo. On the morning of Dec. 7, 1941, Army Pfc. George Allen was on K-P duty peeling potatoes at the Pearl Harbor naval base. 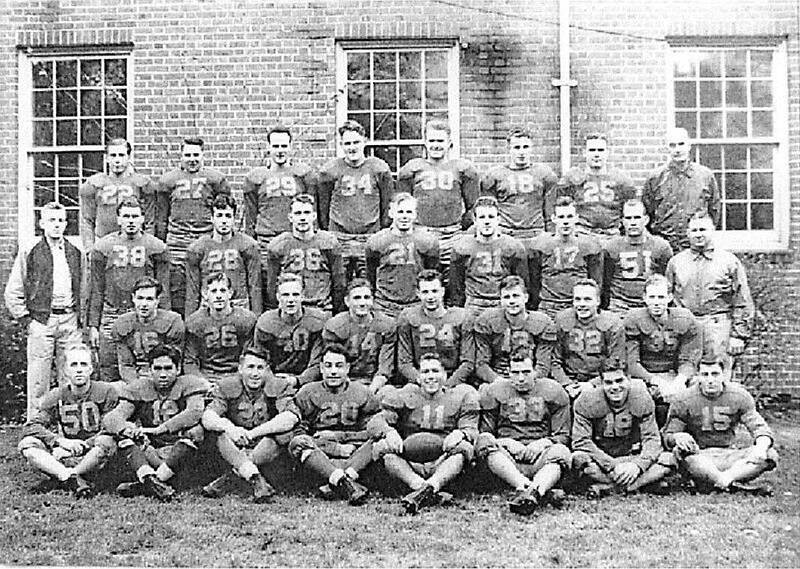 Little did Allen, now a 94-year old Bradley County resident, know that he had a front-row seat to the outbreak of World War II — or that the Willamettte Bearcats who had just played football against the University of Hawaii Warriors would be caught in the tumult. At the end of their 1941 season, Willamette University players left Salem, Ore., to compete in Honolulu's Shrine Bowl in a round robin with the San Jose State Spartans and the University of Hawaii Rainbow Warriors. The Willamette party boarded the luxury liner Lurline in San Francisco on Nov. 27. Besides lacking a stadium, the Bearcats' squad of only 28 players had to play both offense and defense but won seven of its eight seasonal games. The trip over was "a pretty rough crossing. Some of the guys lost a lot of weight . I think I ate only one meal that I was able to keep down the whole time on the ship," commented one player. Having left Oregon in near-freezing weather, the young men were not ready for the 80-degree temperature in Hawaii. A capacity crowd of 24,000, one-tenth of the local population, filled Honolulu Stadium for the first game of the Bearcats against the Warriors. A fullback from the mainland reflected, "It was a hard-fought game. They were bigger than we were, but we played them well for about three quarters. We actually scored first, but then they pulled away in the final period. We still had our sea legs. Some of us were seasick coming over. It was warm, and we just ran out of gas." Hawaii's Warriors beat the Williamette Bearcats 20-6. On the next morning, Dec. 7, some Willamette players had planned picnics while others were looking forward to a bus trip to the North Shore or a visit to the Pearl Harbor naval base. A co-captain reflected that they "were sitting on the lanai of the Moana Hotel (10 miles from Pearl Harbor) having breakfast and watching the giant spouts of water going up in the ocean. He told his team he thought the Navy was having maneuvers. Then all hell broke loose." 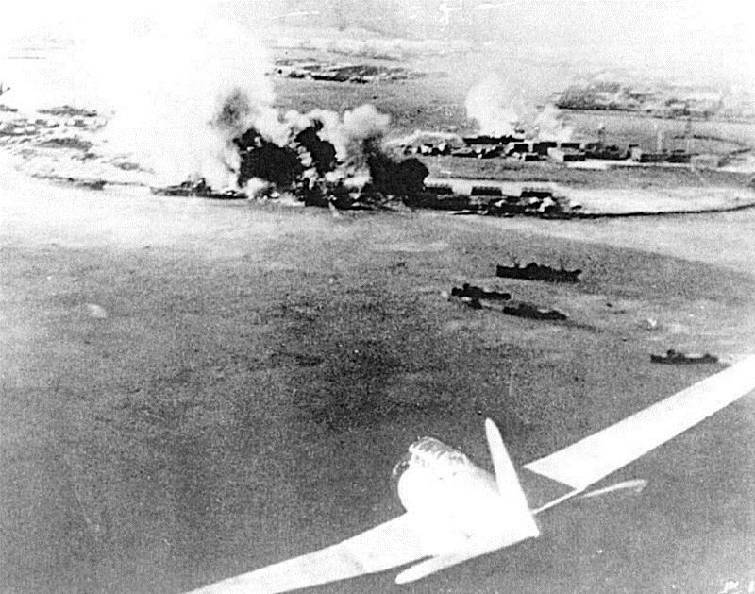 Another player surmised it was no practice: "It was a lot of smoke and noise in the air from the direction of Pearl Harbor. I saw overheard these planes flying; they had a red ball under one wing. I knew they were Japanese." Three others had left earlier for a drive with University of Hawaii coeds and watched the scene from a hilly area overlooking Pearl Harbor. One player later told his hometown newspaper, "Planes were diving. We could see the battleship Oklahoma capsizing. It was horrible." Word spread that night of the losses at Pearl Harbor, and authorities declared a state of emergency. Rumors of follow-up attacks were rampant. Police in Honolulu, working with the U.S. military, discovered a ready source of able-bodied volunteers. Williamette players were given Springfield M 1903 rifles from World War I and paired off with soldiers and local police officers for patrol duty. Others were assigned to guard Punahou High School, where ammunition had been moved after "the U.S. engineers got bombed out of their headquarters." The Dec. 13 and Dec. 16 Shrine Bowl games were forgotten, but a second Japanese onslaught never came. The break for the Willamette team came 10 days later when the S.S. President Coolidge arrived with wounded soldiers from the Philippines, which had been attacked by the Japanese on Dec. 8. The Pearl Harbor wounded were loaded onto the Coolidge for the trip to hospitals in California. The Willamette coach negotiated for most of his players to watch over the injured soldiers in exchange for passage home. Zigzagging across the Pacific to avoid any Japanese torpedo attacks required an extra three days (seven instead of four) to reach San Francisco. The ship arrived on Christmas Day, a month after departure. Several Bearcats stayed behind and joined the Honolulu police force. One explained, "I had been making 36 cents an hour working on a farm at home. We were offered $155 a month to stay. Good money at the time." Most of Willamette's football players joined the military. All but one returned home after the war. Jerry Summers is an attorney with Summers, Rogers and Rufolo. Frank "Mickey" Robbins is an investment adviser with Patten and Patten. For more visit Chattahistoricalassoc.org.